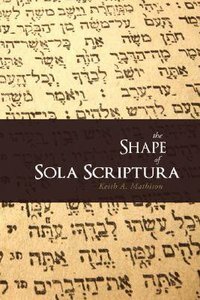 About "The Shape of Sola Scriptura"
Mathison received a B.A. in Christianity and political science from Houston Baptist University and then studied at Dallas Theological Seminary for two years before completing his M.A. in theological studies from Reformed Theological Seminary. He earned a PhD in Christian thought from Whitefield Theological Seminary. He is director of curriculum development for Ligonier Ministries.